#FCFLM Meet: Drummer, Composer, Reggie Quinerly Jr.
Houston's Prized Drummer Boy, Reggie Quinerly, Jr.
Reggie Quinerly Jr. is a drummer, composer, and overall Jazz virtuoso from Houston, Texas. Like most notable artists from Houston, Quinerly is a graduate of the High School for the Performing and Visual Arts (Robert Glasper, Jason Moran ring a bell?) 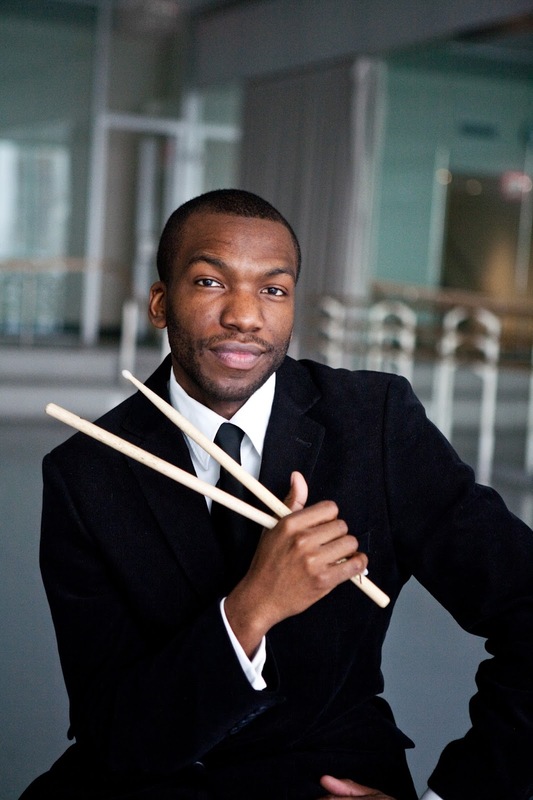 After high school, he relocated to the East Coast to attend the Mannes School of Music at New School University, and later went on to earn his Master's in Jazz Studies at the world renowned Juilliard School. 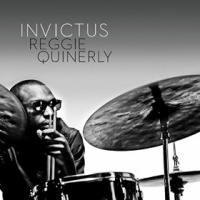 Invictus, Quinerly's latest project is -in his words, his "soulful statement." The album title is inspired by "Invictus" the well-known poem by William Ernest Henley (1849–1903). In our interview below, Quinerly gives us insight on his artistic passion, and also shares how Hip Hop group, A Tribe Called Quest first led him to discover jazz. I enjoyed this interview, and I am most intrigued by Reggie's journey. Well, I’m a professional drummer and composer originally from Houston and based in the New York area for the past fifteen years. My passion is artistic expression through music. I started formal lessons when I was about 7 and, immediately, I was hooked. I never considered doing anything else with my life, so I feel very fortunate to be able to live this dream daily. I’ve dedicated years to learning in respected music schools and devoted countless hours to growing as a musician and composer, but that’s the past. Now, I try to maximize each day, dedicating a largest possible portion of every 24-hour cycle to focused practicing, listening, and creating. Life. There’s so much to see every day. I really enjoy the process of becoming a little better at something day after day. It’s really all about the journey. Who is your favorite artist/group from the 90s? I would definitely have to say A Tribe Called Quest, which is weird because I hardly ever listen to their records these days. I had to retire them because I listened to them so much, especially all of the Tribe cassettes that I acquired before CDs became a big thing. In the early 90’s so many groups heavily sampled older jazz records. Tribe, De La Soul, Digable Planets, Organized Konfusion, Freestyle Fellowship, The Pharcyde and Gangstarr. They all borrowed instrumental elements from the artists I love most today. In fact, it was through reading the sample credits that I came to discover jazz as a whole. When I think about my formative years in the 90’s, Tribe and all that/whom they represent immediately come to mind. I have done my fair share of traveling over the years, but to tell you the truth, lately I really enjoy staying pretty close to home. In my profession traveling can be par for the course, but it loses the glamorous appeal after the fifth connecting flight over the course of three days. I feel most creative in my own space, sitting in silence behind my instruments. For relaxation I might go out on my terrace and check out the view of lower Manhattan… and then it’s back to creative process. I’m still not sure if all those building are beautiful or grotesque, but the view provides a mental break. Aruba, hands down. The weather is beautiful and the drinks are cold. What more do you need? Honestly I’m not really a foodie. I’m married to one though. I’m pretty low maintenance, and I try to make pretty healthy decisions, but I’m not sure if I have a particular favorite cuisine. Have you ever been inspired by food? Like, have you ever had food so good, you broke out into song/dance? Now this is gonna sound like a contradiction to my last statement, but the last time I was home in Houston I tasted some ridiculous BBQ. Thing is, it wasn’t even some out of the way, obscure place… In full disclosure, it was a mini chain. Still, I just remember tasting one bite of a brisket loaded baked potato that encompassed an entire spectrum of flavors and textures… sweet, savory, salty, all that! It was intense. You ever had something so good you took each bite with your eyes closed so you could focus and tasting something?! It was like that Ha! My hometown is known for everything that tastes good but is really unhealthy for you! Ha! But it’s all good… I’d have say Houston does seafood pretty well. Tell me about your style. 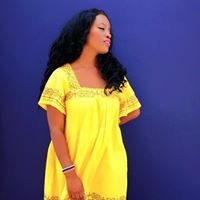 I call myself The Swanky Budgeteer, because I have a knack for expensive/high­-end clothing, accessories and 5­star travels at outrageously discounted prices. Do you budget shop? Thrift? Coupon? Hmmmm… Style-wise I’d have to describe myself as New Millennium Blues. My closest is kinda like Mr. Rogers meets Muddy Waters, cardigans, slacks, button-ups and a couple of bowties… nothing too splashy. I don’t shop much these days, still I’m trying to explore the combinations in all the clothes I have. I’m definitely a thrift store shopper, but I’ll still browse the stores or magazines for ideas. The style lies in how you wear the clothes not what you wear. Oh Yes…Hats… I’m ALWAYS on the search for a nice hat. The 50’s and 60’s were pretty ill. The musicians I look up to like Duke, Miles, Lester Young, Horace Silver, Nat Cole, Max Roach and many others were also known for being slick dressers. They embodied a certain hipness that I am continually impressed by. Lastly, what do you want the readers at FashionCrazedFoodie.com to know about your music/project? On March 17th my new instrumental project Invictus will be released on the Redefinition Music label. This project features my original music written for quintet and pulls from a wide variety of influences. We explore the sounds of Brazil while also encompassing the freedom of the blues. It’s all soul. The title derives its name from the anthemic poem penned by William Ernest Henley. In a sense the album is a call to action for all artists to continue to grow, share and document our expression for the world to appreciate. It’ll be available at reggiequinerly.com, Amazon, Itunes and other outlets.